Business Formation, Organization and Restructuring. Business Operations, Agreements and Commercial Transaction. The Maryland Business Attorneys at Cowie & Mott provide legal advice and representation to businesses of all types, large and small. From international corporations to local start-ups, we can handle the formation of the business entity (corporations, limited liability companies, limited liability partnerships) and preparation of shareholder agreements, operating agreements, or partnership agreements that help avoid future internal business disputes over governance, direction or dissolution of a company. Our Maryland business attorneys and Maryland business lawyers can also assist in the purchase or sale of a business or the restructuring an existing company to bring on new partners or investment. We can also assist in obtaining the necessary consultants and expertise take your company public. Like our business clients, we are business owners and investors with practical business experience. 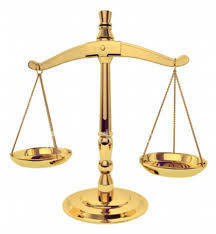 We understand cost-benefit ratios involved in legal representation. Cowie & Mott is able to handle all levels of complexity in busines transactions and business litigation. We take pride in our hard work, persitence, intellectual sophistication and practical “know-how”. We advise businesses how to minimize liability. In some cases, however, internal business disputes cannot be resolved. Likewise, most businesses will face external legal challenges from other competeing businesses, former employees, government agencies, vendors and others. In these circumstances, the Maryland Business Attorneys and Maryland Business lawyers at Cowie & Mott can negotiate a resolution on your behalf or, if necessary, aggressively and competently assert your rights and defenses in litigation. See Business Disputes and Litigation. COWIE & MOTT, P.A. is a Maryland business law firm with Maryland business attorneys and Maryland business lawyers practicing business law, negotiating business transactions and handling business law legal disputes and litigation in Maryland. Our main law office is located in the Harbor East/ Fells Point / Canton area of Baltimore City, Maryland, but the Maryland business attorneys and business lawyers at COWIE & MOTT, P.A. are known for handing complex commercial and business law legal matters throughout the State of Maryland. The experienced Maryland business law attorneys and business litigation lawyers of COWIE & MOTT, P.A. provide legal advice and legal representation to business professionals, entrepreneurs, local businesses, national corporations and multinational companies. See us at Bing Places & Google + & Facebook. Baltimore Business Litigation Lawyers. Our Maryland business attorneys and Baltimore business attorneys are centrally located with business law offices and a business litigation law firm in the Canton / Fells Point area of Baltimore City. Our businesses lawyers and business litigation attorneys represent businesses and corporations of all sizes in business law matters, business disputes and business litigation throughout the State of Maryland. We practice law in Baltimore County, Baltimore City, Harford County, Montgomery County, Carroll County, Prince George’s County, Charles County, Frederick County, Anne Arundel County, Howard County, Cecil County and throughout the Eastern Shore. We represent business clients in Bel Air, Towson, Westminster, Mount Airy, Ocean City, Salisbury, Hagerstown, Hunt Valley, Chevy Chase, Potomac, Rockville, Gaithersburg, Germantown, Upper Marlboro, Laurel, Bowie, Annapolis, Baltimore City, Silver Spring, Clarksburg, Germantown, Abington, Havre De Grace, Bethesda, Frederick, Elkton and other locations throughout the state of Maryland. Baltimore Business Lawyers and Maryland Business Litigation Attorneys practicing Business Law in Maryland.